Offering you a complete choice of products which include spike / manual tyre killer scorpion700401. Portable tyre killer provides effective Road Blockage against force full entry of vehicle at vital Defence Installation/ Units and also at very high-security zones/ buildings like Parliament House, President House, Embassies, Airports, Power Plant, and vital security establishment. It’s strongly hardened and sharp triangular spikes are pulled out manually. If attempted to drive through at any speed, its spikes are specially designed to penetrate into the vehicle tyre, and release air within the tyre quickly yet safety, causing the vehicle to stop. The time taken for these spikes to spread on the road is not more than 5 seconds. The deployment of a portable road blocker by one man. The entire portable road blocker is designed in such a manner that no digging of the road is required for its installation and operation. The main frame made up of Aluminum for easy Portability & Durability. Scientifically designed spikes mounted on the mainframe in a systematic way. Suitably designed weatherproof spike holders which can withstand extreme hot & extreme cold conditions. 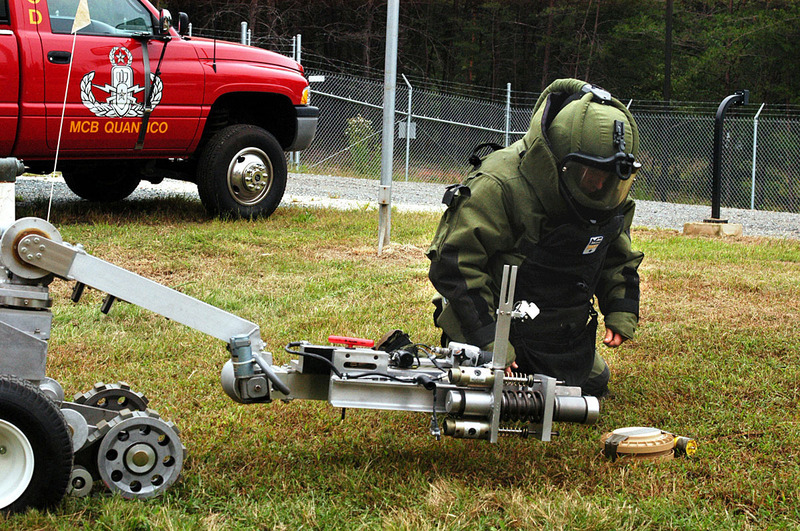 Can be deployed by a single person in under 3 minutes and the unit can be activated in 2 to 5 seconds. The Spikes are mounted on mail frame in a systematic way. strong and light in weight for easy portability & long durability.